Now, I don’t have kids. And if I did, I’m not sure I’d let them play with my iPhone, iPod Touch, or iPad. But maybe that’s just me. All that being said, however, I think CookieCoo Dancing Star would be a fun game to play with your child. 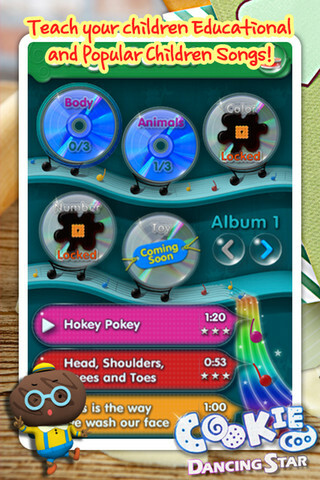 It’s simple, has charming music, and offers up wholesome family friendly fun. 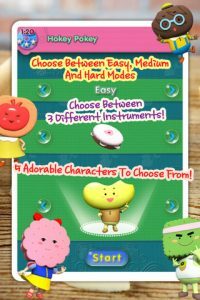 With a large cast of cuddly characters, and the ability to play along with a variety of popular, educational children’s songs, you’d be hard-pressed to find a parent that objects to such an endearing, squeaky clean gameplay. 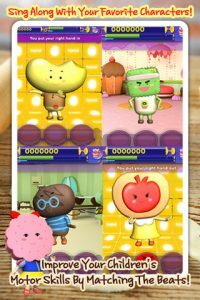 hildren can play at different difficulty levels, by themselves or with a parent, or you can opt to just watch videos of the little critters as they sing and dance around: the perfect thing to watch before nap time or after a night time bath. And best of all, later updates will include even more songs, so buying it while it’s still free is a great investment for even the most easily distractable kids. In short, think of this game as Rock Band for babies. 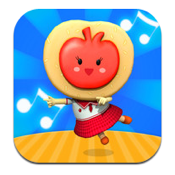 It’s got a “tap to the rhythm” style of gameplay that makes it easy for little, uncoordinated hands, while still being a fun way to bond with your kid or just play some wholesome music for them. If you are looking for a fun way to help your little one advance their fine motor skills, you could do a lot worse than the charming graphics and fun songs offered up in this free, family-friendly, and fun app. So what are you waiting for? 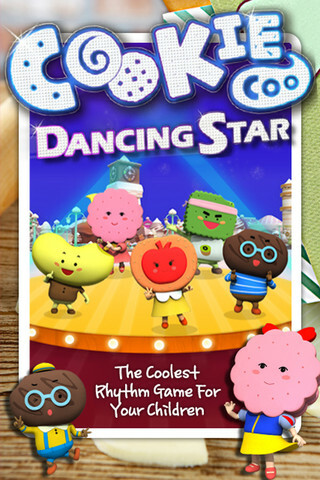 CookieCoo is compatible with iPhone 3GS, iPhone 4, iPhone 4S, iPod touch (3rd generation), iPod touch (4th generation) and iPad. Requires iOS 3.1 or later.